The UCI Symphony Orchestra is seeking $8,000 to help fund the first recruiting trip of its kind to raise awareness of undergraduate student activity on campus as well as recruit for new talent. These donations will help bring down transportation, lodging, staffing and material costs for this inaugural event. 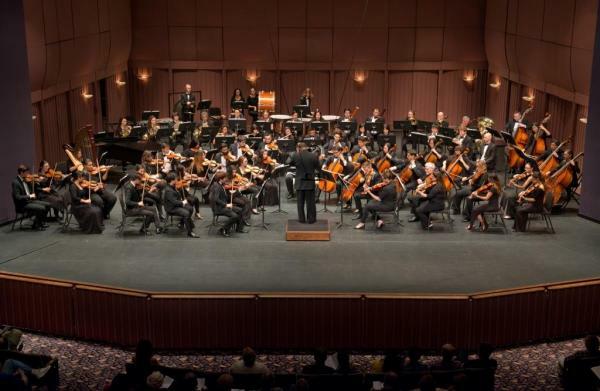 In November, the UCI Symphony Orchestra will travel to Northern California on a full-scale recruiting trip for the campus. On the trip, the orchestra will present a full-length concert in the Harris Center, at Folsom Lake College, and host High school and Community College students in an information session, with a question and answer period. 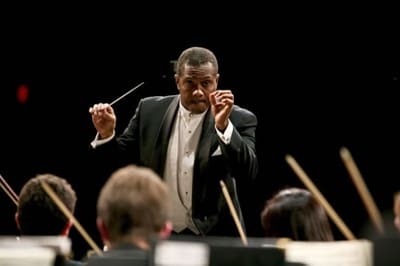 While on the trip, Dr. Tucker, the conductor of the orchestra will present a clinic for the Chamber Orchestra of Folsom Lake College and will include them in at least one of the UCI Symphony's pieces to be presented in a concert in mid-November. Help support the UCI Symphony Orchestra by making a gift today! Thank you for your gift to UCI Symphony! Your generosity is greatly appreciated. Thank you for your $100 gift! Your generosity will help to support and sustain our effort to create more visibility to the symphony and UCI campus. At this level of donation, the donor automatically becomes a member of the Symphony Guild -- with benefits of invitations to orchestra rehearsal; notification of special orchestra events, and recognition in orchestra program booklets. At this level of donation, the donor automatically becomes a member of the Symphony Guild - with benefits of invitations to orchestra rehearsal; notification of special orchestra events, and recognition at the Concert Funder level in orchestra program booklets. Along with automatic membership in the Symphony Guild; Open invitations to any rehearsal; open invitation to the orchestra's special events - such as events at our partner school (Santa Ana), and will be offered arranged time with the conductor, for private functions and discussions of the orchestra's plans and progress.